Here's your chance!!! 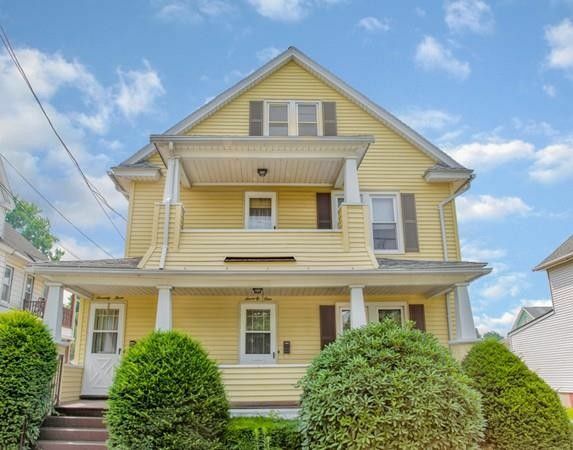 Fantastic opportunity with this Chicopee two family, perfect for an investor or for owner occupant! Home is located directly across from Dana Park and is only 1/2 mile away from Elms College... Imagine the potential!!! Each unit is spacious with 3 bedrooms, 1 bath, a kitchen with a pantry, formal dining room & living room. Lovely hardwood floors through out most of the unit. Each unit has a large front porch and buyer will enjoy a private driveway that will easily fit 6 cars, AS WELL AS, a 3 car garage!!! Lots of room in the basement & separate utilities for each unit! All appliances to remain for buyer's enjoyment. Open House from 11am-2pm on Sunday, July 22nd. This will be your opportunity to see both units in the same showing!